Hicks, rubes, country bumpkins and hillbillies all conjure the same image: poor and uneducated. J.D. 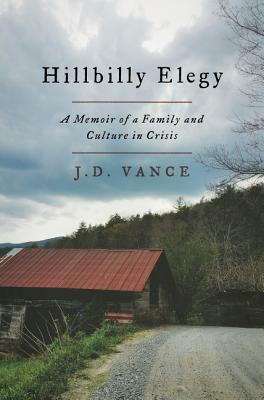 Vance’s Hillbilly Elegy, subtitled: “A Memoir of a Family and Culture in Crisis” examines the consequences of the often unbroken cycle of poverty. The poor have fewer choices and those available are not always the smartest or best options. Vance, a self-identified hillbilly and Yale Law School alum, describes his damaged upbringing in Ohio and his family’s strong ties to the Appalachia region of Kentucky poignantly and, occasionally, humorously. There’s no sugar coating. Vance is quick to note that his background is not unique. Single parents, drug addiction, low-paying wages, unemployment and teen pregnancy are among the detrimental factors faced by many, including the author’s mother. Vance credits his grandparents, with whom he lived for much of his childhood, for instilling a sense that life could offer more. Although he didn’t initially embrace the idea, a stint in the Marines after graduating from high school and his grandparents’ efforts, eventually Vance recognizes the value of education as a means of changing his life’s direction. Being aware of not wanting to replicate his mother’s behavior also helped. The fact that he’s a successful lawyer and is happily married does set him apart, though, from those he grew up around. A few family members provide exceptions, but not many. Interspersing statistics with his own experiences, Vance notes that the region and the cyclical existence of its inhabitants make it difficult to merge into a more positive lifestyle.